Why Join? Because the Food is Amazing! Our farmers only harvest produce when it is ready to eat, instead of harvesting it weeks early to ship it across the country, or further! If you are keeping count this is the third installment in our “Why Should I Join?” series. If you want to read the earlier posts here is the introand part 1! My mother used to say “Boy, what you want isn’t always what’s best for you.” Who knew she was talking about vegetables? (Ok, she probably wasn’t but, the idea still fits here!) Although I would love to eat farm fresh tomatoes year-round, I cannot. Because I would rather not eat tomatoes, than eat a bland hot house tomato in early June, I have learned to heed Mom’s words. The great thing about being a part of a CSA is that I can eat fresh, great tasting food all season, because our farmers only harvest the food when it is ready to eat, instead of harvesting it weeks early to ship it across the country (or further, yikes). This means that the food is at it’s peak ripeness, and it’s peak nutritional value; you’re getting the vegetables that are the best for you, and the best tasting! In the late summer, when the tomato harvest comes in, “Look out world, I’m on a natural high!” And in the meantime, I get to try fruits and vegetables that although I may have never tried before new, I know they taste the way they are supposed to. And, learning to love new food is almost fun as eating a delicious favorite. Central Brooklyn CSA has vegetable, fruit, and egg shares available. We are currently developing a wicked menu board, and are planning on hosting cooking demonstrations to boot, so if you like the idea of eating perfectly ripened fresh foods, but are not yet a kitchen wizard, fear not! 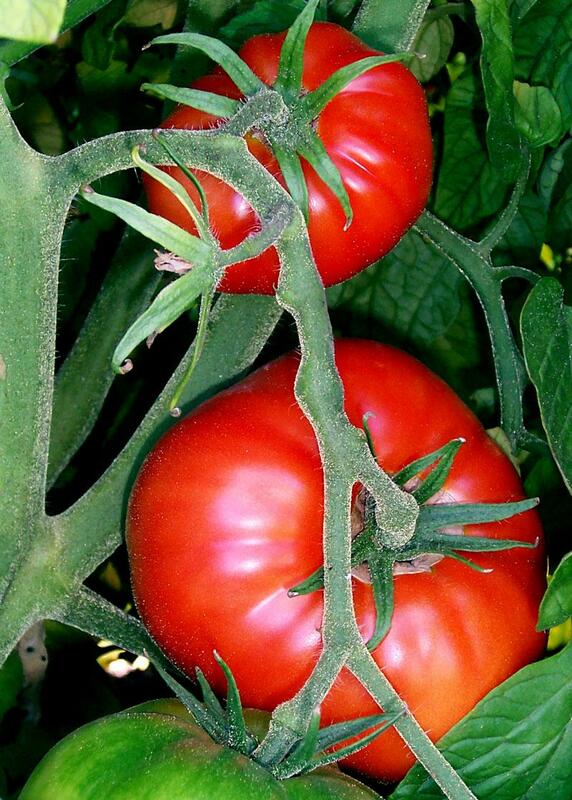 Gorgeous tomatoes and you’re doing such a good thorough job telling the benefits of CSA. Previous Previous post: CSA Sign-Up Deadline is April 30th!